Biology and pathogenesis of the pathogens, diseases and hosts. Molecular targets-based and structure-based medicinal chemistry approach to maintain healthy drug-discovery pipelines. Monitoring, containment and treatment of drug resistant cases. Bench to bedside translational research to evaluate new drugs and drug combinations. 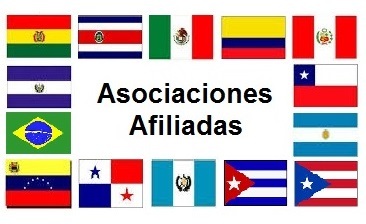 Socioeconomic and public awareness programs in neglected tropical parasitic diseases. The Colegio de Químicos de Puerto Rico (CQPR), IUPAC’s Puerto Rico National Adhering Organization (NAO), is delighted to invite you to the 1st BINAEEM International Conference on Nanosciences. The theme of the conference is “The development of chemistry within the nanosciences in the areas of energy, the environment and nanomedicine”. Puerto Rico on October 5-6, 2017.
solar and microbial cells, and nanobiosensors. nanoparticles, nanoparticles in the environment. 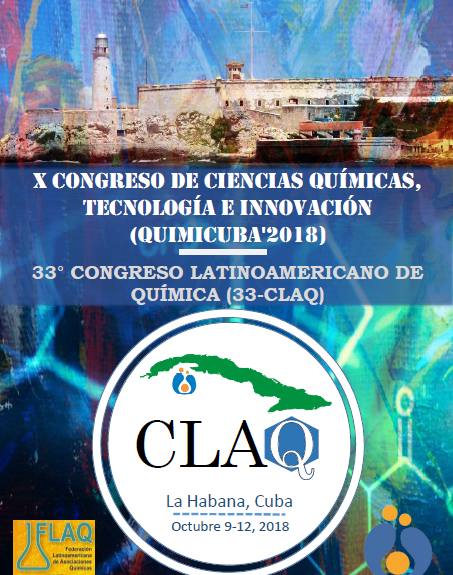 33 Congreso Latinoamericano de Química que se realizará en conjunto con el 10mo Congreso de Ciencias Químicas, Tecnología e Innovación QuimiCuba2018 del 9 al 12 de Octubre del 2018 en La Habana, Cuba. Les dejamos información relevante en este archivo. 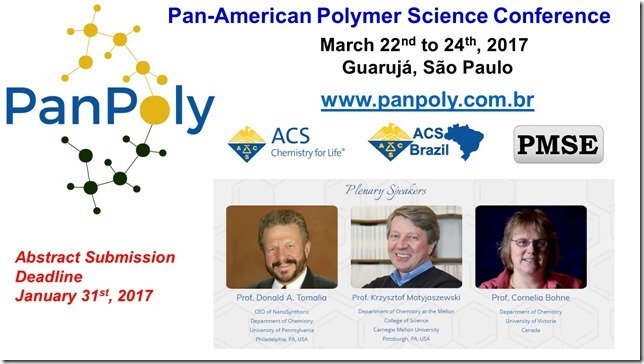 The 46th World Chemistry Congress of the International Union of Pure and Applied Chemistry (IUPAC-2017), will be held in São Paulo on July 9-14, 2017. 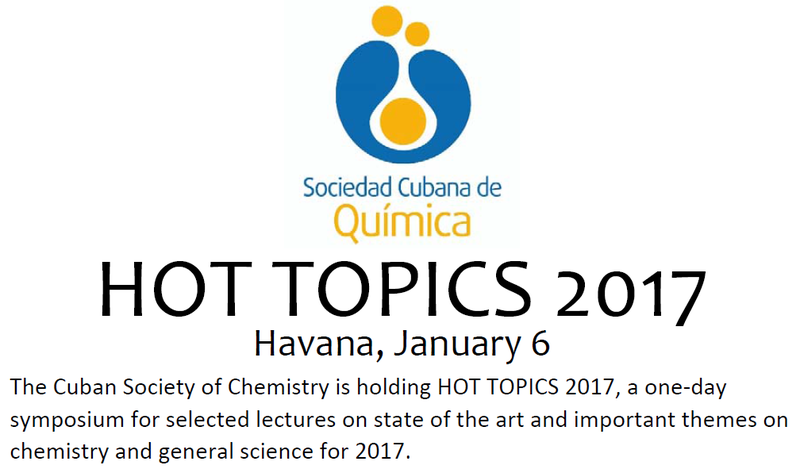 With the theme, “Sustainability & Diversity Through Chemistry”, this wonderful and historic event will link all fields of Chemistry. The scientific program has been carefully prepared by the Organizing and Scientific Committees, providing a major coverage of the main areas of interest for chemists. The scientific program includes high-level scientific sessions, plenary lectures, parallel sessions, as well as poster presentations and young scientists’ workshops under 12 major topics, including over 100 symposia. The twelve major topics are: Analytical & Food Chemistry (AC), Chemistry Education (CE), Chemistry for Industry Innovation (CI), Chemical Synthesis (CS), Energy, Water and Environmental Sciences (EE), Green Chemistry and Biotechnology (GB), Inorganic and Structural Chemistry (IC), Macromolecules and Materials (MM), Medicinal Chemistry and Chemical Biology (MB), Nano Science and Technology (NT), Natural Products and Biodiversity (NB), and Physical, Biophysical and Computational Chemistry (PC). Abstract submission is open until Feb 3rd. For more info visit the website. 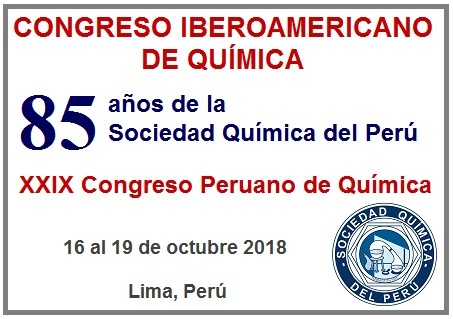 La Sociedad Química del Perú, con auspicio de la Federación Latinoamericana de Asociaciones Químicas (FLAQ) organiza el XXVIII Congreso Peruano de Química, que se realizará del 29 al 31 de marzo del 2017, en la ciudad de Lima, Perú. Invitamos a los profesionales, investigadores y estudiantes de química, ingeniería química, bioquímica, docentes de química y ciencias afines, a participar en este importante evento. La fecha para el envío de resúmes de investigación para el XXVIII Congreso Peruano de termina el 30 de enero del 2017. Para mayor información, visitar la web del evento. Del 11 al 15 de setiembre 2016 se celebrará en Sevilla, España la sexta edición del Congreso de Química EuCheMS. 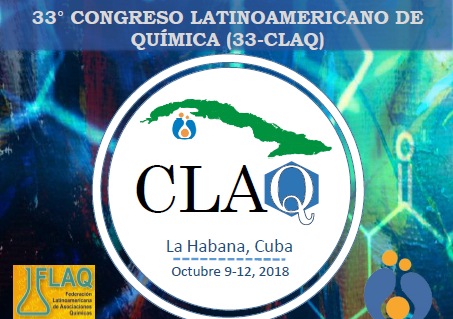 La FLAQ ha organizado un simposio en el marco del evento que se llevará a cabo el lunes 12 de setiembre. Se contará con la presencia de disntinguido miembros de las diferentes sociedades miembros de la FLAQ. En el siguiente enlace se puede ver el programa en detalle.